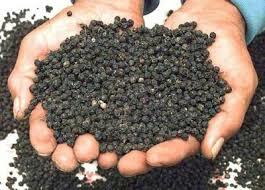 Kochi: On Monday, pepper futures went up on some buying interest and reports of tight supply position in Vietnam. In addition, Indonesia said to have traded at $2,550 - $2,600 a tonne (c&f). Allthese factors contributed to the upward swing. Market was highly volatile and closed above last Saturday's close. August contract on NCDEX moved up by Rs 82 to close at Rs 12,740 a quintal. September and October went up by Rs 85 and Rs 87 respectively to close at Rs 12,900 and Rs 13,096 a quintal. Total turnover increased by 2,460 tonnes to end at 4,626 tonnes. Total open interest moved up by 242 tonnes to 6,624 tonnes. August open interest dropped by 104 tonnes while that of September increased by 346 tonnes, indicating good switching over.